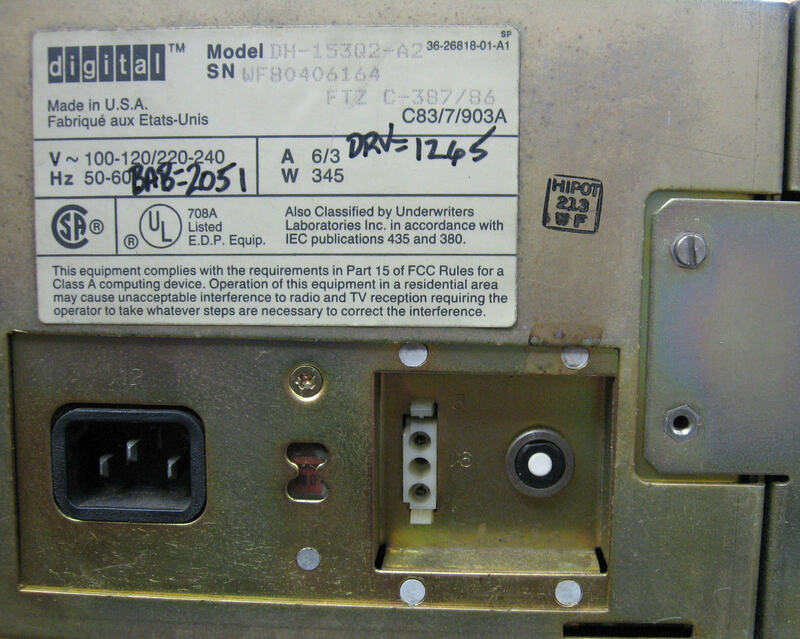 There were many models in DEC's PDP-11 family. 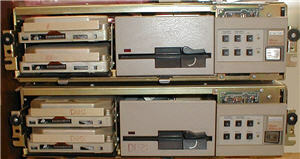 Shown here are a pair of rackmount PDP-11/35's with their front covers removed. 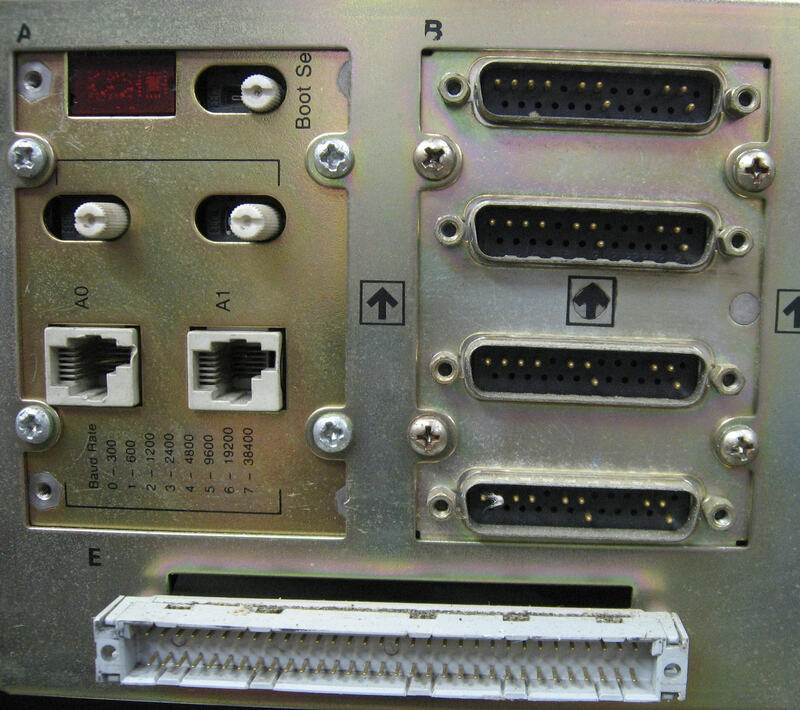 The front panel buttons are interesting. The drives can be write protected with just a button press. With all the malware these days, we could use that feature now. 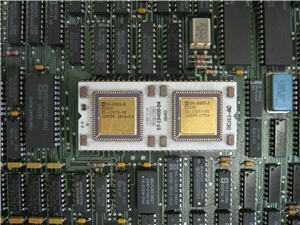 Under the top cover, surrounded by a sea of support chips is the CPU. 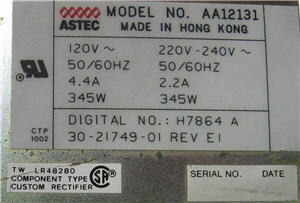 Power supply label 1 on the top cover shows the input rating. 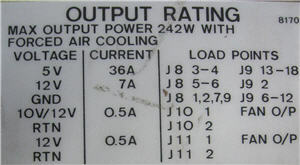 Power supply label 2 on the top cover shows the output rating. The left side of the rear panel has the AC input plug. The middle of the rear panel has the Boot Selector, and terminal connections with baud rate set by selector switches. 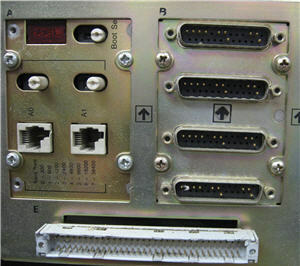 There an external SCSI and four db25 serial ports for peripherial connection. 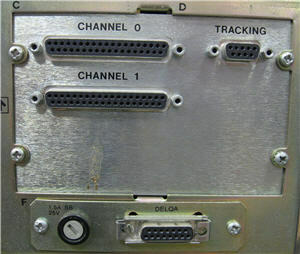 The right side of the rear panel has connections that I have't yet researched. 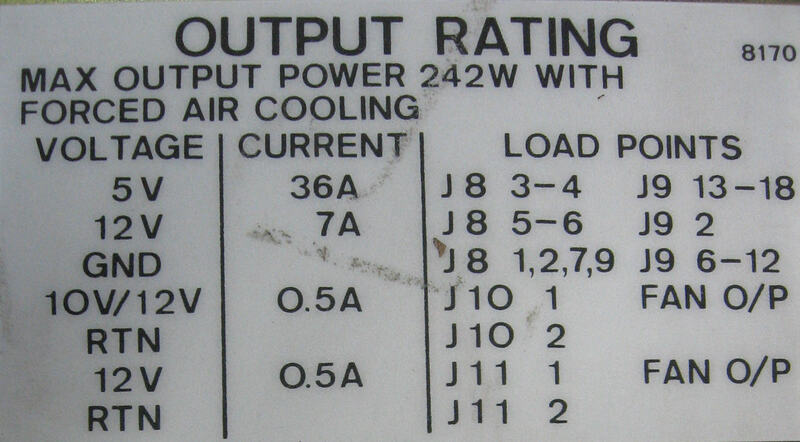 The right side panel has two large fans. 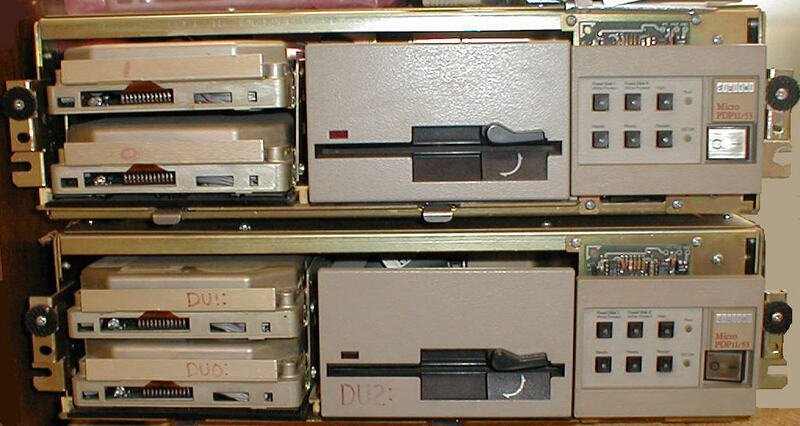 Here are the two PDP-11/35's mounted in a rack. 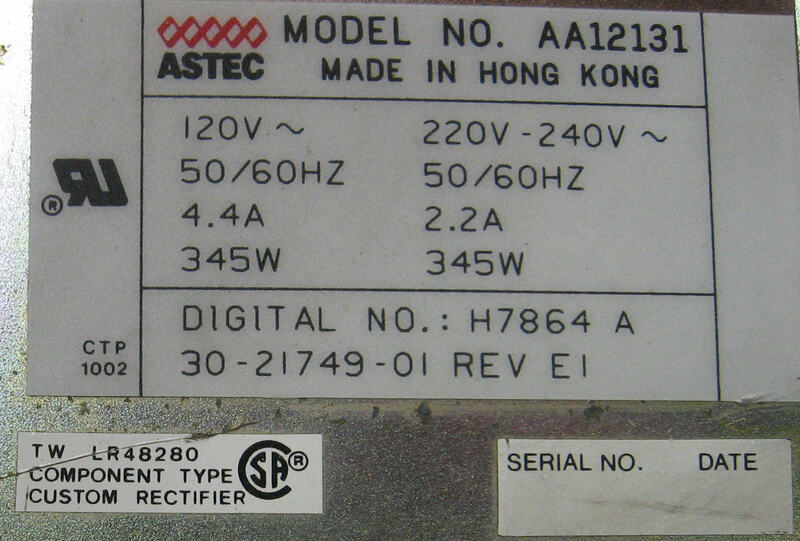 You'll notice that the previous owner drilled two holes in each front cover so that the drive activity lights on the dual Seagate ST-251's (40MB MFM) are visible. This top view shows the stack of two Seagate ST-251's on the left and the Teac 5-1/4 floppy drive in the center. The housing on the right is a fan duct for the right side fans. 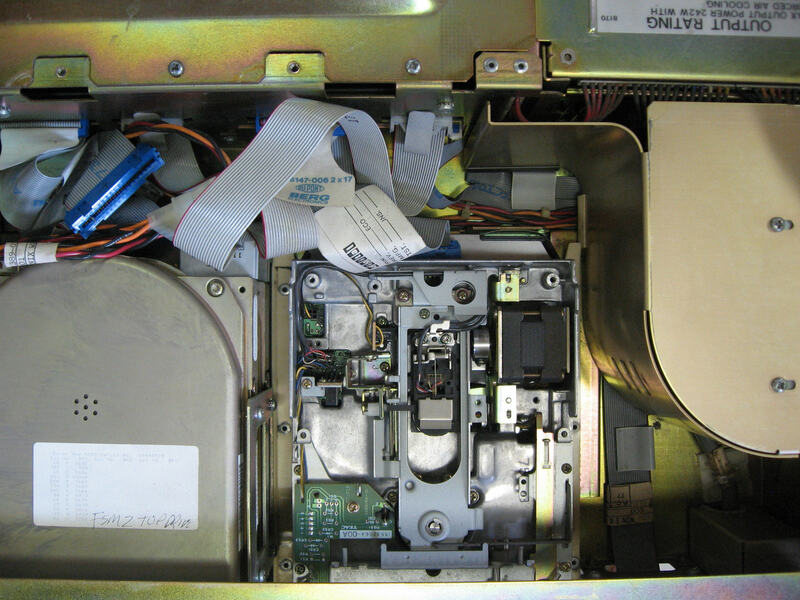 If you click on the photo, you can better see the "defect map" label on the top of the hard drive. 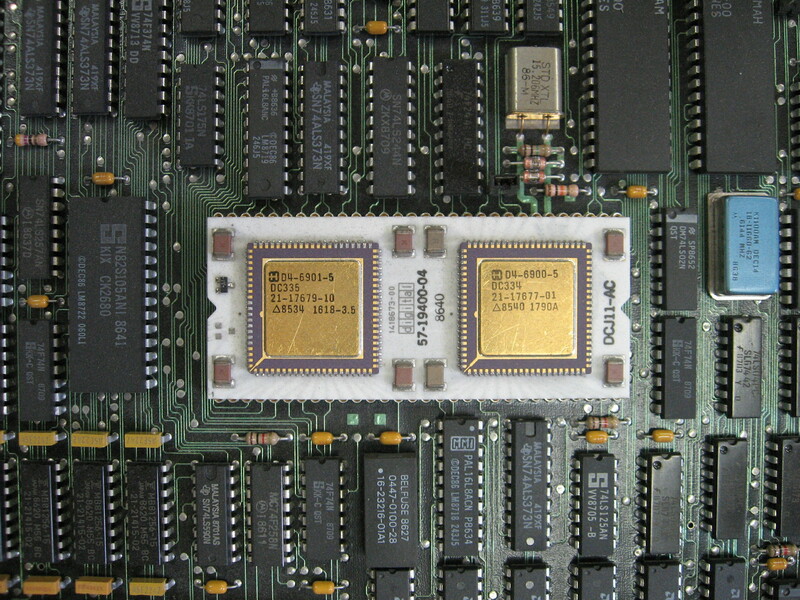 Back in those days, drive platter defects would be listed by the manufacturer so that the user could enter them during low-level formatting to have the drive electronics skip the defective areas. These days, areal densities are so high that read/write errors are more common. Fortunately, drive electronics now handle them transparently.